This week, let’s consider how the Crucifixion and Resurrection of Jesus support our faith in the Virgin Birth. 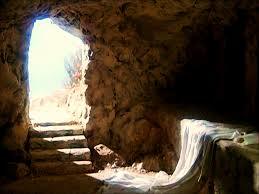 The Crucifixion and the Resurrection provide similar ideas and thus will be discussed together. Just as the previous post referenced the discussion of the Virgin Birth as being less important than the discussion of Christianity in general, the same point applies to the Resurrection and Crucifixion. While Jesus never personally wrote anything down, and while we do not have physical proof of his body or a tomb, his name has come down to us as arguably the most important in human history. Debates about Jesus are typically over whether or not he was divine, or thought of himself as divine, or if his followers applied those attributes to his name only after his death. However, historians and scholars alike agree that there was, in fact, a man named Jesus Christ, who lived in Israel at the time that the Gospels place him there and that this man was crucified. Just as the discussion of the virgin birth leads one to belief in the Ascension, the same applies to the discussion of the Ascension leading one to belief in the Crucifixion and Resurrection of Jesus Christ. In order for there to be Ascension, there must be a place from which to ascend. As history brings Jesus to us a real man who was crucified under Roman governor Pontius Pilate, this man named Jesus must have died under this punishment, and that death should have ended his followers’ allegiance. With crucifixion a death reserved to torture and execute the worst of criminals, the followers of Jesus must have been, and were, as stated in the Gospel of Luke, in utter grief and confusion at the time of his death on the cross. The fact that grief of these disciples became devotion, worship, and belief gives us a story of a man that was completely man enough to die but likewise God in his power to rise and ascend in victory. At this point, as we trace the story of Jesus backwards from the Ascension, we are left with the man of Jesus: clearly in this world, but not from this world.